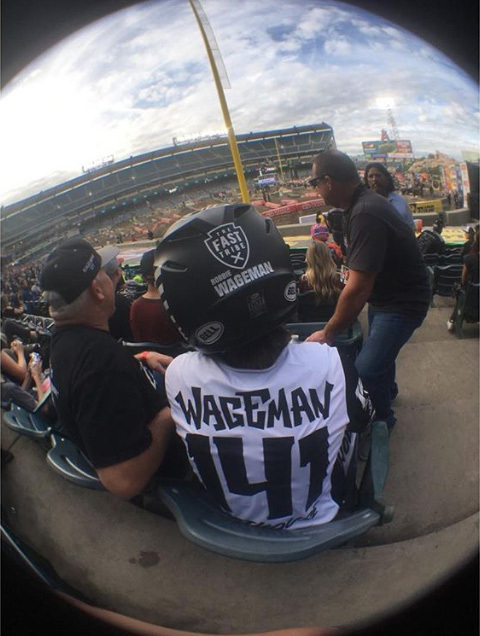 Southern California’s Robbie Wageman comes from a motocross family. Since the age of three he’s been on two wheels, riding and racing alongside his older brother, RJ, under the guidance of their dad. 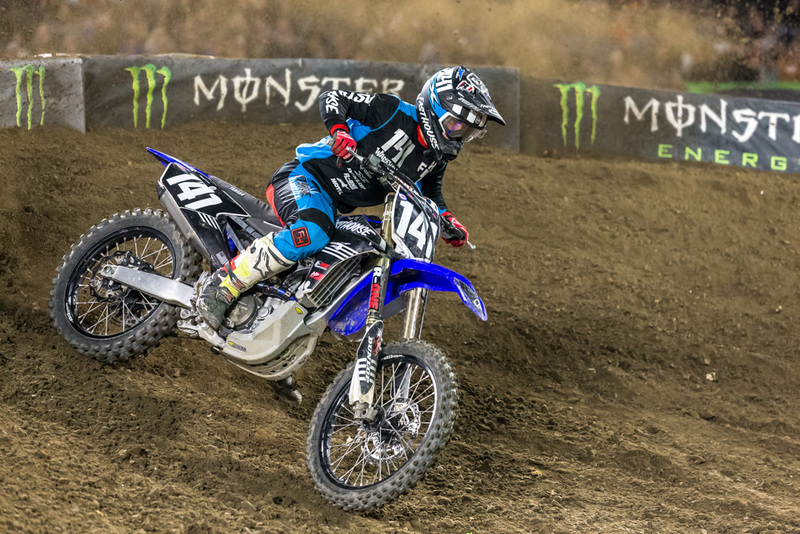 After completing the Arenacross series last year, Robbie earned his professional license and the opportunity to live out his dream of racing Supercross in 2017. After months of preparation, the 17-year-old entered Anaheim stadium for the first time last weekend, lined up against his heroes, and turned some heads with his speed and tenacity. 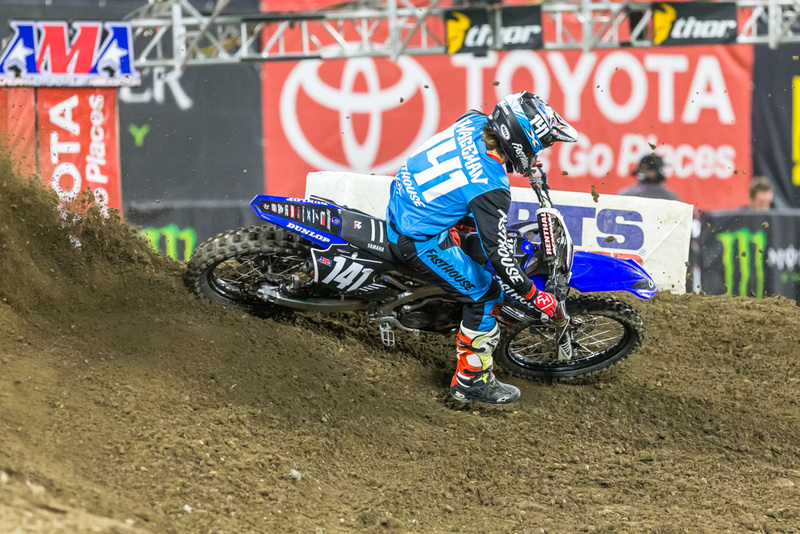 What were your thoughts going into your first professional Supercross race? Going into my first pro race, I was definitely really excited. My first goal was to obviously make it to the night show, which I did. My second goal was to complete all the laps that I could, and if I made the main, that would be great. But I just wanted to complete as many laps as I could. I’m just focused on making improvements for next weekend and continue getting better. There really weren’t any big surprises. I knew that if I got myself up there with the top guys, I could run their pace. I just have to get a good start. Was it a surreal feeling to walk into the stadium for the first time? It was definitely a surreal moment when I first walked into the stadium for track walk. I was stoked. It was awesome, because there’s just no better feeling than doing that. I’ve done Monster Cup for the past five years, but there’s nothing like racing Supercross in Anaheim—there’s nothing like it. 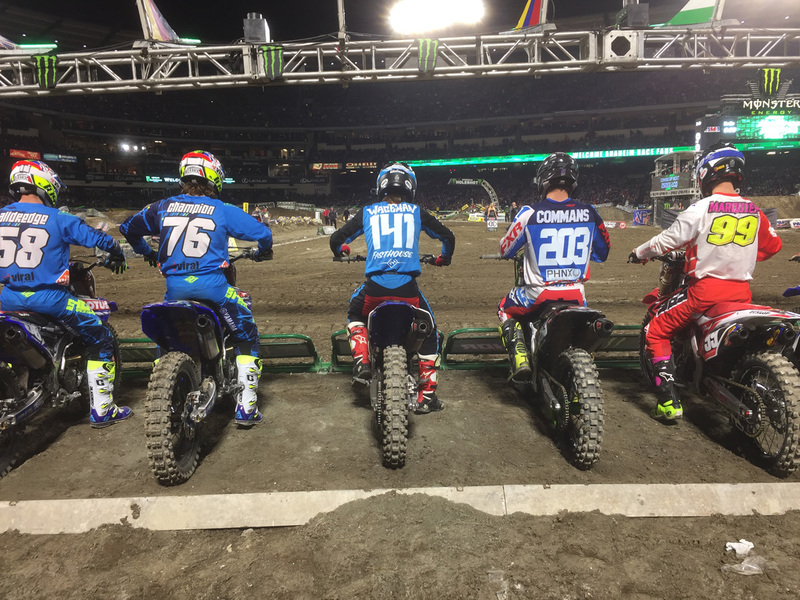 Monster Cup is a cool learning experience, and it gets you prepared for all the people in the stadium, but racing actual Supercross in Anaheim is a different feeling—in a better way. It’s awesome. What are some of the goals that you’ve set for yourself? For me to just progress every weekend; I want to make the main consistently; and get myself up there with those top guys to see what I can do. Being 17 is pretty young to turn pro, right? Yeah, it’s a young age and everyone always asks me that. At this point, I feel really comfortable in Supercross, and I had more to gain than lose if I stayed in amateurs for another year. Any crazy things happen to you during the weekend? Any fans ask you to sign anything weird? Hopefully if I make it in the main I’ll get to sign some cool stuff (laughs), but there were a few people that came over. It was a cool experience to get to sign some autographs—some young kids and older people that didn’t really know anything about motocross. That was really cool. I had a decent get-off in practice, which didn’t really set me back, but it was scary. I went over the bars and had to regroup from that one. 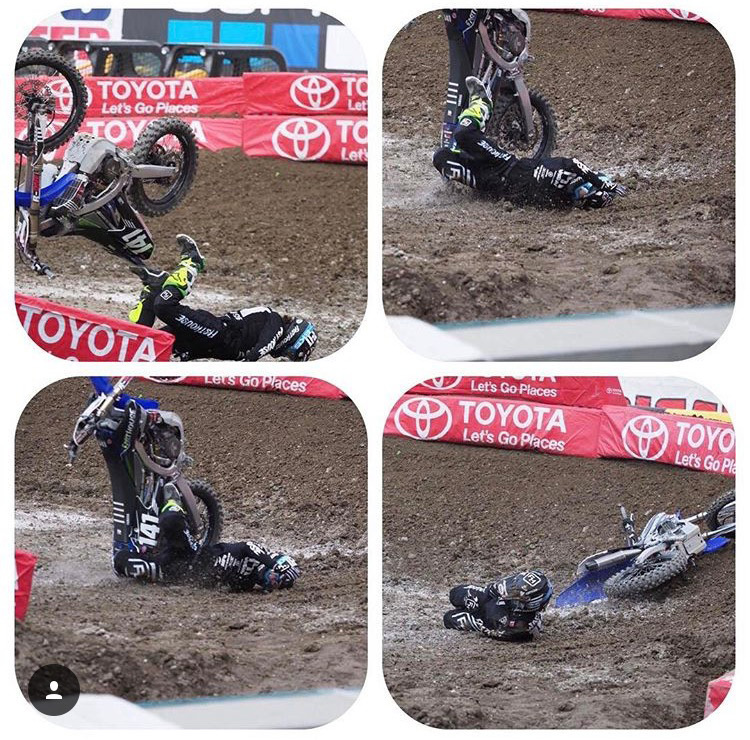 Other than that, I had a great experience racing my first Supercross. I’m looking forward to San Diego. This nasty crash could've been much worse, but Robbie walked away from it.